Tecno Mobile launched budget friendly basic handset on June, 2013. 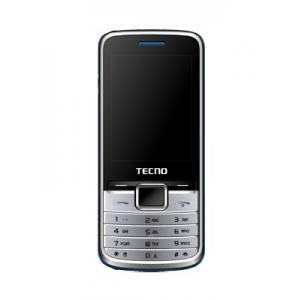 Tecno T605 is a dual SIM handset with dual standby option. It supports dual band GSM (GSM 900 MHz/ DCS 1800 MHz) for both SIM 1 and SIM 2. It comes in a pack with charger, handset, battery, headset, USB cable, user manual and warranty card. Talking about the screen size, it has got a 2.4- inch QVGA TFT display with 320x240 pixels resolution. Tecno T605 has got a pixel density of 167ppi. In terms of dimensions, it carries a height of 115.5mm, a width of 51mm and a thickness of 14mm. Tecno T605 comes equipped with 1.3 MP primary camera that carries a resolution of 1280x1024 pixels pixels. In order to documents, files, songs and videos it comes packed with 512MB RAM which is quite low. In terms of storage, it has 1GB internal memory which can be further expanded up to 32GB via using microSD card. Tecno T605 comes packed with connectivity features which include Bluetooth, USB, GPRS, EDGE and WAP 2.0. It is powered by Li-ion 1000 mAh battery which offers a talktime of 5.5 hours along with standby time of 176 hours.